Sight Insert Card for Small Redfield front sights. Perfect fit for my Remington 513T globe front sight. I knew this would fit because of the reviews. Easy to order and quick shippment. Thanks Lee Shaver, great service I would not hesitate to use these folks. ​I have a 1947 Remington Model 513-T Matchmaster Target .22LR rifle with a Redfield 68 globe front sight. These inserts are perfect! 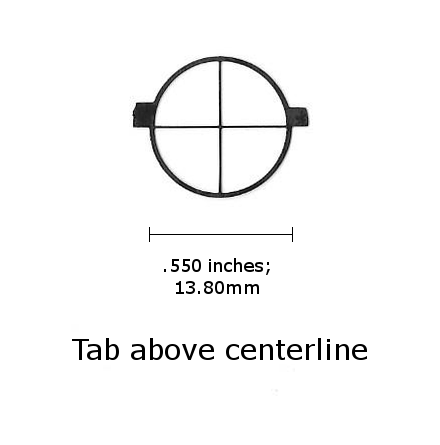 I ordered a set of these for my Remington 513T Match Master that has an original Redfield 68 globe sight. They fit perfectly. Many older Remington rifles (many other makes too)feature the Redfield 63 front globe sight. This almost but not quite the same as the Lyman 17 sights. How excellent to have proper fitting inserts for these sights. As I've come to expect from Lee Shaver, these inserts are of the highest quality and precision. They really satisfy the Prussian in me. Along with the usual post, pin head and aperture inserts there are several "cross hair" variations that are very useful. Click the button below to add the Redfield Front Sight Inserts - Small to your wish list.